Bed bug treatment in Beaverton is nothing to wait on. The longer you allow bed bugs to exist in your home the more difficult it can be to eradicate them. Though they initially stick to one spot, bed bugs will eventually migrate to other parts of your house. That’s why the sooner you contact an experienced bed bug treatment professional like The Killers, the better. The insidious insects can hitch a ride anytime, latching onto you from an infested hotel room or friend’s house. If you don’t receive bed bug extermination before they’ve done the same to your family and friends, you could even be responsible for a loved one’s infestation. There are bed bug treatment options, but first, you have to be aware of the problem. Look for these symptoms and inspect your home thoroughly for bed bugs. 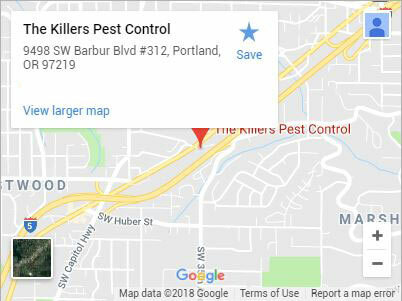 Bed Bug Bites – This is one of the most prominent signs of a bed bug infestation in Beaverton. Bed bugs bite the exposed skin of sleeping victims. Though the center-less red bites don’t start out itchy, they quickly become so. Blood Stains – Why blood stains? Bed bugs feed on human blood, and in addition to having black or rust-colored excrement you’ll find on sheets, bedspreads, and curtains, victims frequently crush them at night after a feeding. These will appear as rust-colored patched on sheets and beneath bed spring. Skins – When bed bugs get larger they shed their existing skins. These are papery and yellow in color. Egg sacs are white and roughly 1mm in size. Smell – The odor of bed bugs has many different descriptions ranging from almond to stink bug to rotting raspberries. Take note of any strange scents where there shouldn’t be. 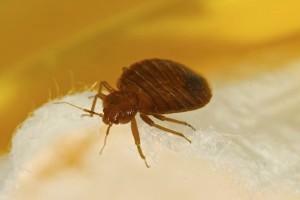 Bed bugs are flat, around the size of an apple seed, and active primarily at night. The first place to look is your bed frame. They are small enough to fit in cracks the width of a credit card and will scurry when sighted. You should never get a bed bug treatment when you don’t need one, and that’s why we begin every job with a full inspection. If our bed bug treatment technicians don’t find living bed bugs we usually advise against a bed bug treatment. That’s because we value you as customers, and complete bed bug treatments are not to be taken lightly. If we do find live bed bugs, we’ll set up a time to perform a crack and crevice topical treatment as well as a surface treatment. This involves treating mattresses, box springs, bed frames, nightstands, dressers, drawers and all the furniture in your home. We’ll also have homeowners collect all laundry, sheets, and blankets for treatments. We also treat baseboards and carpeted areas. 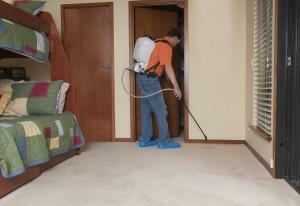 Two follow up treatments occur at two-week intervals to ensure a complete and thorough bed bug treatment in Beaverton. When you need thorough, comprehensive bed bug treatment in Beaverton, call (503) 777-3141 or contact us today. Just outside of Portland lies the city of Beaverton. It’s a great place to call home while commuting to work or staying put for those lucky individuals who find work close to home. Beaverton has a fantastic library system which plays host to a number of excellent events and programs for both adults and children. For those looking for an active environment, Beaverton has a long standing farmer’s market. The Beaverton Farmer’s Market gives locals easy access to the freshest produce, flowers, and homemade goods and crafts. Open since 1988, this is one of Beaverton’s great weekend hot spots. Albany, OR, Gresham, Newport, OR, Portland, Salem, OR, and more!